WASHINGTON — For many, the lighting of the National Christmas Tree Lighting Dec. 3 marked the unofficial start to Christmas around the capital. 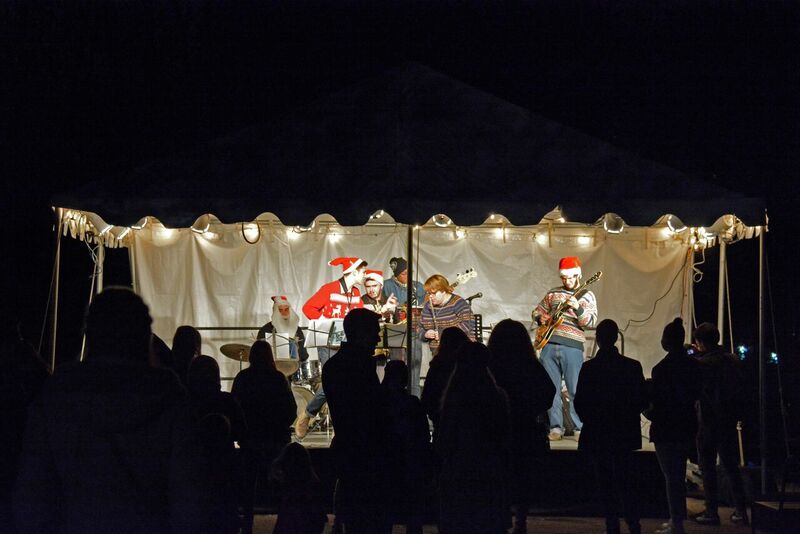 Here are several places around Washington to check out if you’re looking for holiday decorations to get into the spirit, from decorated Christmas trees to light shows. The National Christmas Tree this year is decked in gold and silver, lighting up the Ellipse in the center of President’s Park. SHFWire photo by Heather Khalifa. 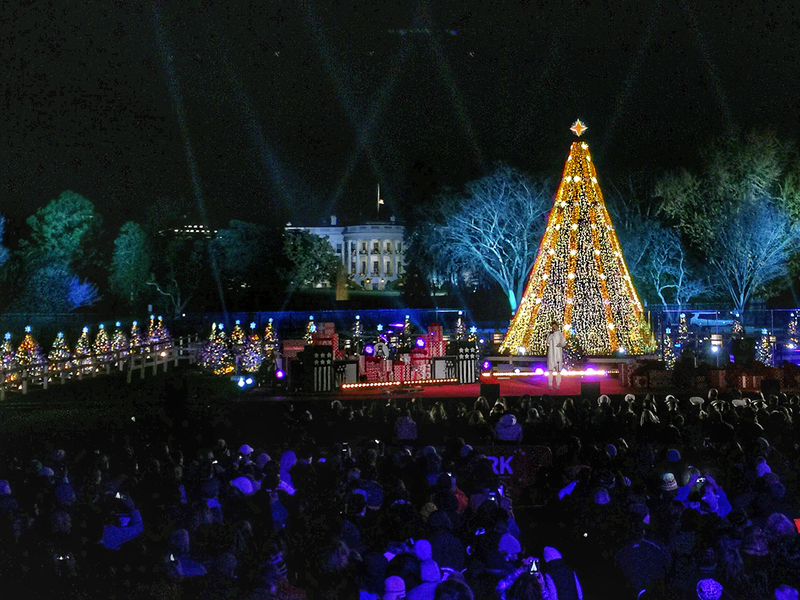 The U.S. National Christmas Tree stands in the center of President’s Park, with the South Lawn of the White House as its backdrop. The tree is decorated this year with gold and white LED lights, which according to the National Park Service was done to celebrate the milestone of its 100th year anniversary. 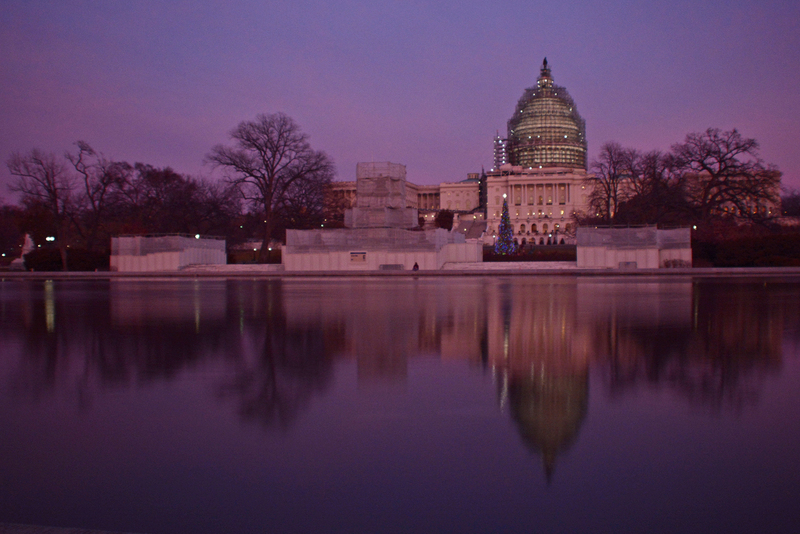 There will be three weeks of musical performances at the tree, which will be lit until Jan. 1 from 10 a.m. to 10 p.m.
View of the Capitol Christmas Tree from across the U.S. Capitol Reflecting Pool. SHFWire photo by Heather Khalifa. The Capitol Christmas Tree lighting took place Dec. 2, with House Speaker Paul Ryan lighting the tree for his first time as speaker. The tree traveled 4,000 miles from Alaska, and is decorated with 4,000 handmade ornaments. It will be lit until January 2. 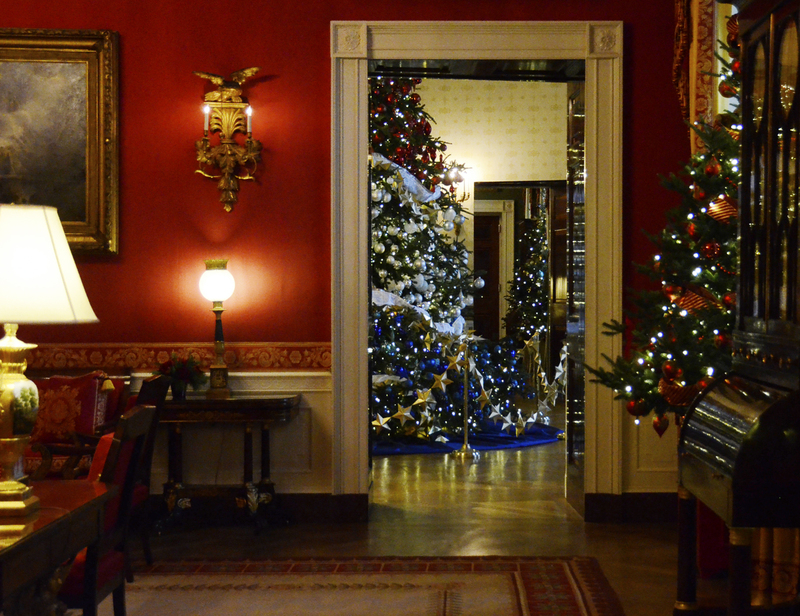 The official White House Christmas tree can be seen here through the Red Room. SHFWire photo by Rebecca Anzel. This year’s White House holiday decoration theme is “A Timeless Tradition,” and the official Christmas tree is decorated in red, white and blue to honor the sacrifices of American service members. Those who want to see the decorations in person need to arrange a tour through a member of Congress. View of the ZooLights from the entrance on Connecticut Avenue. SHFWire photo by Heather Khalifa. 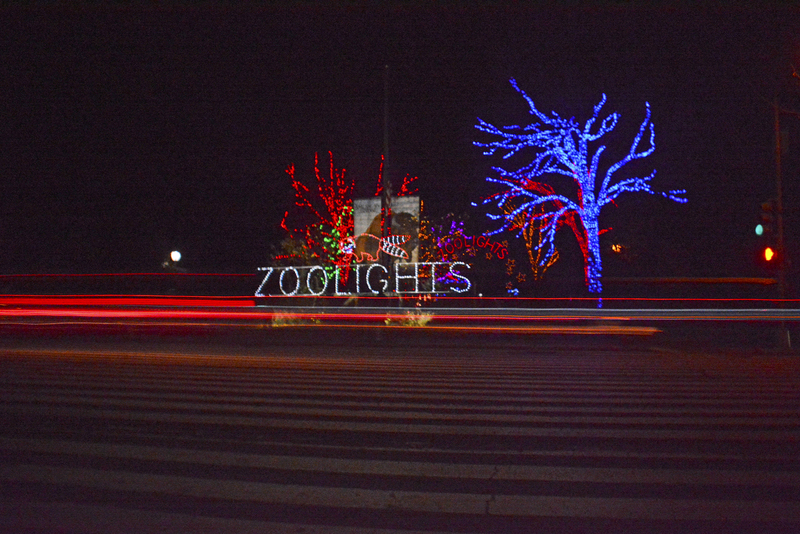 The ZooLights at the National Zoo in Woodley Park will be free and open to the public until January 2 from 5 p.m. to 9 p.m. The walk-through exhibit features 500,000 LED lights and has shopping and food vendors, along with musical performances. Live musical performances on a Sunday night. In addition to this there is a nightly raffle along with winter food vendors. SHFWire photo by Heather Khalifa. A Christmas tree can be seen at the corner of New York Ave. and 11th Street. SHFWire photo by Matias J. Ocner. 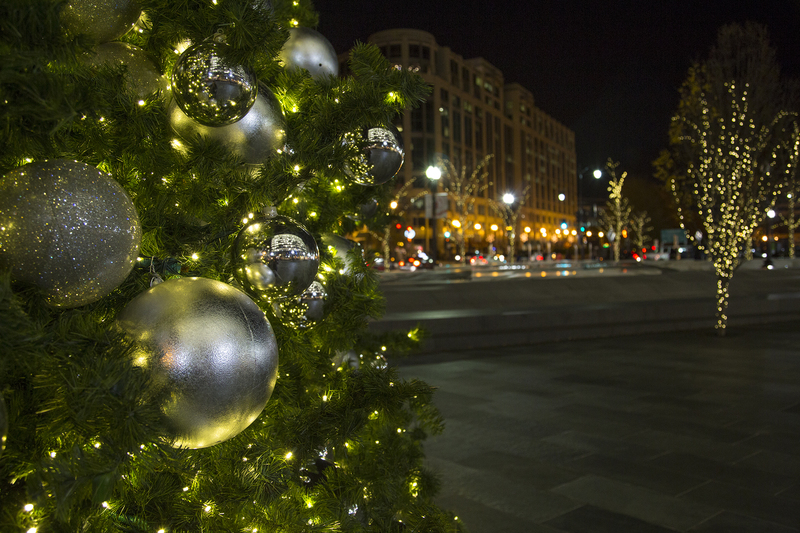 On New York Avenue and 11th Street NW is a hidden oasis of Christmas lights, featuring a large tree decked with gold ornaments behind a dancing water fountain. Many people stop by to take photos and enjoy the fountain while shopping in nearby. While it’s always nice to check out national Christmas trees or take a walk through a light show, it’s just as satisfying to put up your own lights. According to the The American Christmas Tree Association, 78 percent of U.S. households will have a Christmas tree on display. But with that comes safety hazards and responsibility. Reach reporter Heather Khalifa at heather.khalifa@scripps.com or 202-408-1488 and reporter Rebecca Anzel at rebecca.anzel@scripps.com or 202-408-1489. SHFWire stories are free to any news organization that gives the reporter a byline and credits the SHFWire. Like the Scripps Howard Foundation Wire interns on Facebook and follow us on Twitter and Instagram.